Hello there! My name is Teacher Joan. I am a graduate of Bachelor of Science in Business Administration, major in Financial Management. I have been teaching English online for more that four years already. I have also taken my TESOL (Teaching English To Speakers Of Other Languages) program. I usually spend my free time reading books, watching videos, and solving puzzles. I am a joyful and compassionate person. Teaching has been my passion and that seeing my students learn and develop their English communication skills is such a big joy to my heart. I really would love to see you in my class so I could share my knowledge to you. Thank you so much ! See you! 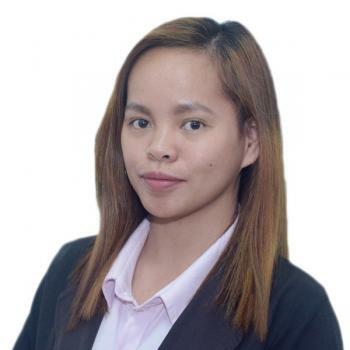 Teacher Joan is a graduate of Bachelor of Science in Business Administration major in Financial Management. She has been teaching English online for more than four years already. She also has taken her TESOL (Teaching English To Speakers Of Other Languages) program. During her free time, she loves to read books, watch videos, and solve puzzles. She is a joyful and compassionate person. Teaching has been her passion and seeing her students learn and develop their English communication skills is such a big joy to her heart. She would really love to see you in her class so she could share her knowledge to you. Thank you so much!